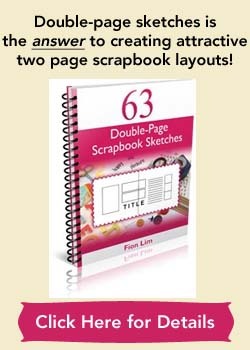 Scrapbooking titles tell others what your page is about. Truly, a captivating page title adds to the appeal of any scrapbooking page. Imagine having “Peek a Boo, I See You ” as the title for a page you’re reserving for your ultrasound photos. Or perhaps photos showing your kids hiding in various places? How fun! How about “Grandmothers are Angels in Training” on a page paying tribute to a loving grandma? Isn’t this endearing? Hmm… or you could splash across the page with a charming title like “Grins and Giggles” to showcase your best photos with great smiles. These are just tiny examples of what could be achieved with effective titles. A great title is one where it creatively teases and magnetizes others to delve into the contents of a scrapbook page. Are you starting to see the magic of well-thought scrapbooking titles? 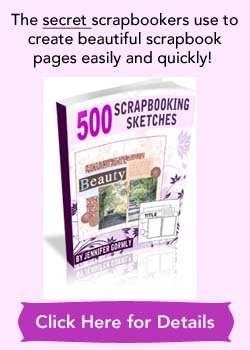 Please take a look at the list of scrapbooking page titles that I’ve created. Feel free to pick a few for your own personal use. For a really big collection of scrapbook titles, phrases, quotes and sayings, click here. Ok, here’s a few sites displaying strong collections of page titles for you to pick and choose from. Take your time to look around for the right title. I’m sure there’ll be at least a couple just right for your pages. For a simple, clear-cut, straight list of titles, visit this site for their long list of titles. You don’t wanna miss out this popular site for its huge collection of titles. At the home page, scroll down to the category of “Journaling” and click on “Page Toppers”. Over 2,000 titles in numerous categories like Baby, Birthday, Children, Grandparents, Mother, Siblings. The titles are nicely categorized and put into a searchable database for your convenience. Imagine a website dedicated to helping you find your perfect title for your scrapbook pages and cards! Extensive categories such as Amusement Park, Arts & Crafts, Circus, Dirt & Mud, Growing Up, Moving, etc. Under PeaSoup categories, scroll down to Title Pages. Or simply click on the many categories and you’re bound to find some titles under each category. Plenty of titles for you to slowly savor. I hope that these sites will give you some inspirations to come up with some creative titles of your own.